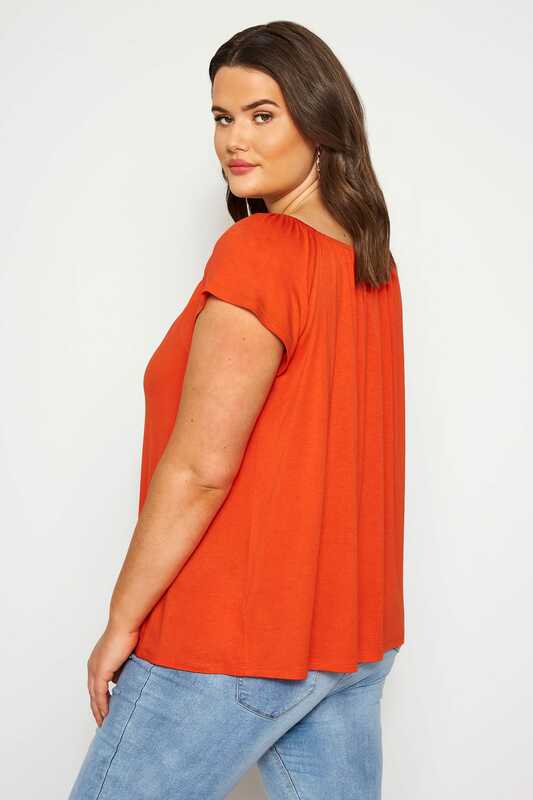 Embrace a brighter colour palette colour palette with this bold orange bardot top. 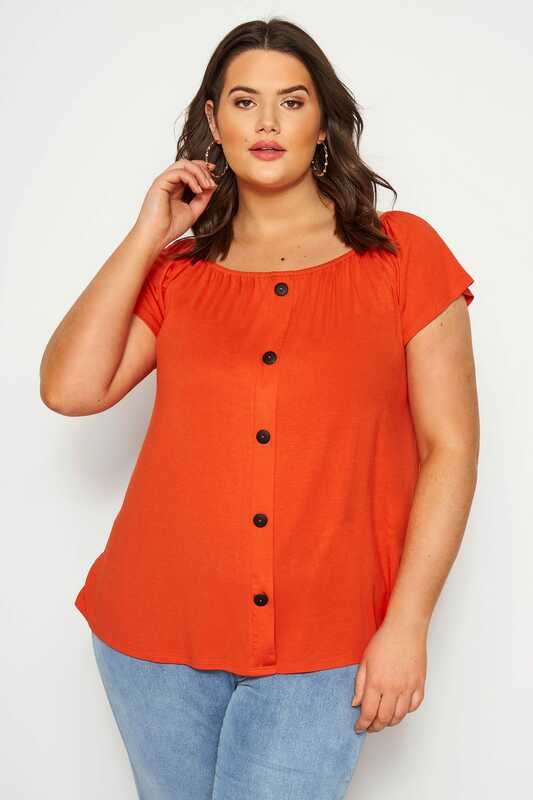 Designed to be worn on or off the shoulders, it is made from a comfortable jersey fabric and finishes with mock button details. 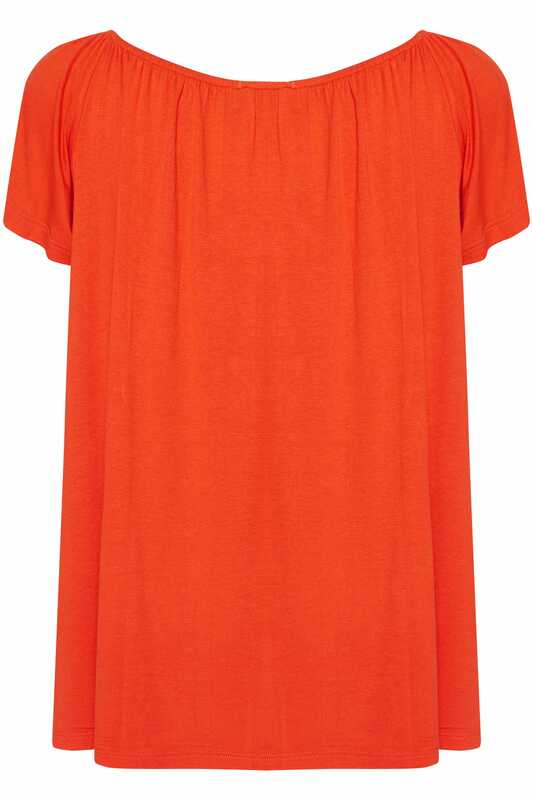 Team with cropped denim and sandals for easy daytime appeal. 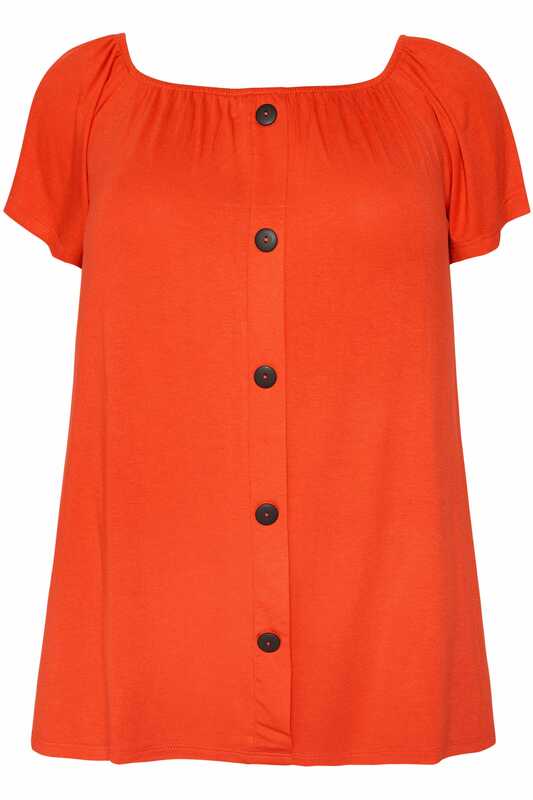 Bring vibrant colours to the forefront of your wardrobe this season.